Want to make your own citronella candles? 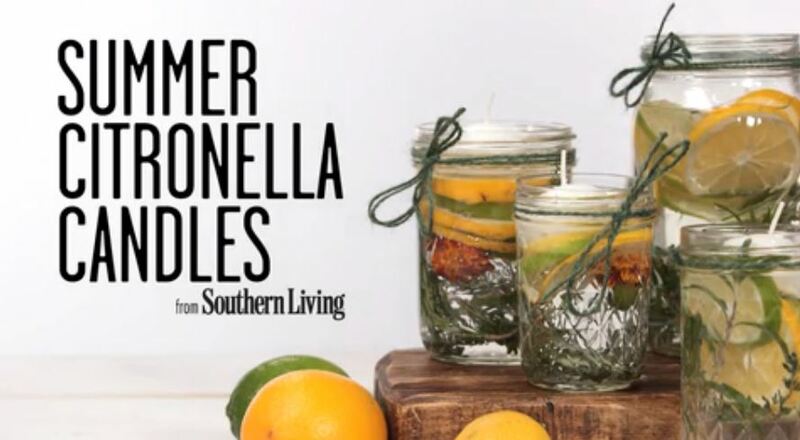 You’re in luck, here is a recipe for DIY Citronella Candles. It is an easy way to make them at home, and they are beautiful. Cut the Lemons and Limes into Round Slices. Place the Herbs into the Mason Jars. Fill the Jars Halfway with Water. Add the Lemons and Limes, then Add 10 Drops of Citronella Oil. Fill the Remainder of the Mason Jar with Water. Place the Floating Candle on Top. Tie the Ribbon or Twine around the Jar.